Develops annual training plan to enhance staff skills and builds their capacities in line with the RTP country plan. Train and Supports Field Facilitators, Teachers and Coach Trainers, Teachers and Coaches and Junior Leaders in identifying the community needs, ensures RTP activities are aligned with project plans and support the certification process of teachers, coaches, teachers trainers and coach trainers. Develop weekly, monthly and annual Coach training schedules for all project locations. Oversees Field Facilitators, Teachers Trainers and Coach Trainers and ensures that all trainings are modified and aligned with proposals and work plans. Works with Monitoring, Evaluation and Learning Officer to ensure Field Facilitator, Teachers trainers, teachers Coach Trainers and coaches are trained on using qualitative and quantitative monitoring tools as well as performance assessment. Coaches and mentors the Field Facilitators, District trainers, teachers and coaches and provides inputs on training reports developed by them. Work with Program manager , Education Specialist and partners to develop a context specific to the continuum of training and provides technical inputs on the delivery of related training. Ensures Project Officers, Field Facilitators and Teachers and Coach Trainers have a clear activity plan and works with them to develop and implement activity schedules for children in all project locations. Together with Field Facilitators, encourages and supports teachers/ coaches netwrks and community of practices, coach-led and community led initiatives in all project locations. Conducts regular follow-up visits of all project locations to ensure training plans and implementation aligns with project proposal; supports project team in developing workshops to best fit the requirement and projects in the field. Supports the development and dissemination of best practices related to the country programs. Represents RTP and has regular consultations with Field Facilitators, Teachers/Coach Trainers, local partner organizations, stakeholders and key beneficiaries in all project locations regarding training and Right To Play tools. Represent Right To Play in technical workshops with TIE on curriculum review or developmemt of curriculum materials as well as stakeholders workshop on the implementation of In and pre-service teachers training. 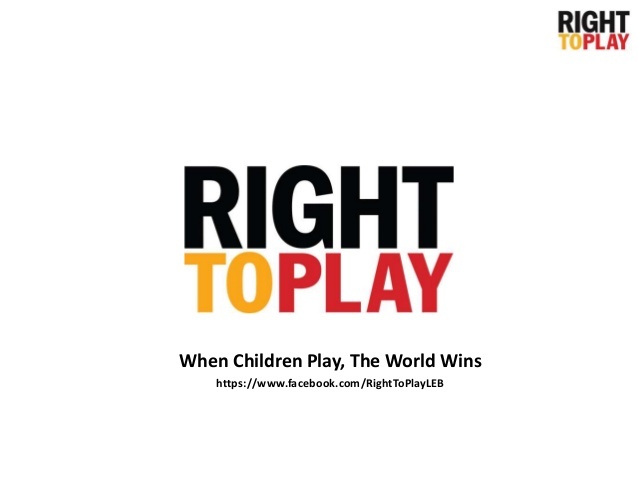 TanzaniaHr@righttoplay.com and kindly include title you are applying to and your name in subject line. Please indicate your salary expectations in the cover letter. For the Field Facilitator position, please specify if you apply for Mara or Morogoro).